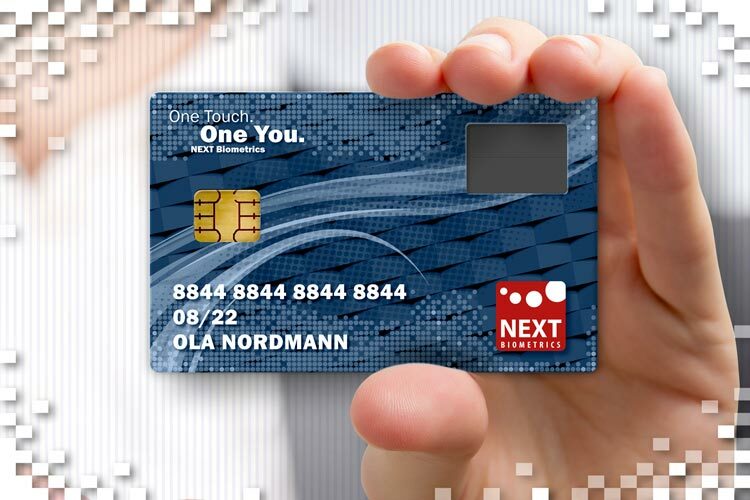 Munich, Germany, and Oslo, Norway – 8 November 2018 – Infineon Technologies AG (FSE: IFX / OTCQX: IFNNY), the global leader in smart card payment solutions and NEXT Biometrics (Oslo Bors: NEXT), a global leader in fingerprint sensor technology, have joined together to develop a reference design for biometric payment cards. The reference platform incorporates all necessary elements to develop and manufacture a smart card with a fingerprint sensor and helps card makers to simplify their production processes and to shorten time-to-market for their offerings. The use of biometrics for second factor authentication is the next big thing in payment card innovation following signatures, embossing, magnetic stripe and secure chip technologies. Instead of entering a PIN or showing an ID, the card holder authenticates by using a fingerprint sensor embedded on the card. The fingerprint information is stored on the card’s secure element and not shared with any third party, thereby protecting the user’s privacy. Fingerprint authentication is faster and easier than standard PIN-based EMV* transactions. It will also further reduce fraud, especially when multifunctional cards are deployed for personal social security payments. The reference design from Infineon and NEXT includes a biometric module, a secure element, an operating system with biometric and payment applets, as well as a recommended and proven pre-lamination and lamination method for manufacturing the biometric card.